Farsi is an easy language, as opposed to Arabic. I therefore picked up my mother tongue with no difficulty, albeit it being distilled by the Americanisms that have infiltrated my mother's family jargon. Her own mother tongue is English! 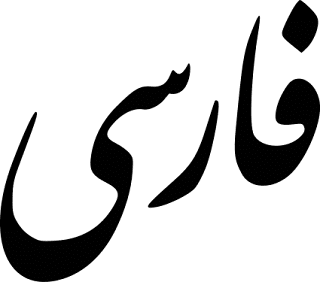 I learned to "understand" Farsi from the ambient family culture. We traveled to Tehran, I hung out with uncles and aunts and my mother spoke to me in Farsi if she didn't want anyone else to understand. But I rarely spoke it as the only person who was exclusively a Farsi speaker was my great grandmother, and she did most of the talking. 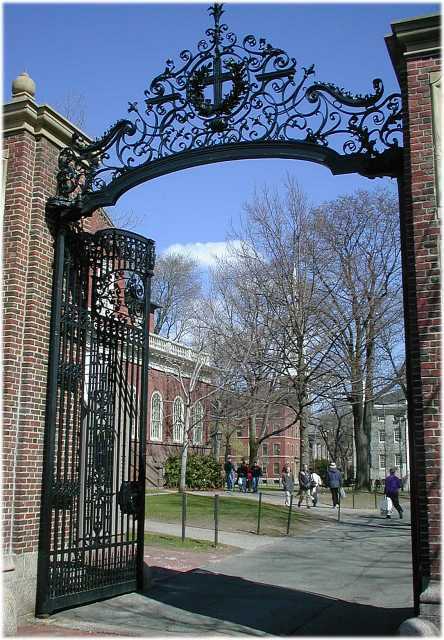 It was therefore logical for me to select Farsi as the Middle Eastern language requirement at the Department of Middle Eastern Studies at Harvard. I already spoke, wrote and read Arabic. Here I was in Cambridge, Massachusetts in a small seminar that would meet daily for two years, learning Farsi....with a Southern Gentleman with a Georgia drawl. Professor Wheeler Thakston wasn't your ordinary American casual professor. He looked like Rhett Butler in his hairstyle, mustache and clothing, except he wasn't suave like the actor. He was rigid, cold and severe. He entered the class with a presence that called for attention and concentration. He made a few students cry and drop out. He taught in a book he had written himself and we began with the fundamentals, the alphabet, the basic vocabulary, we learned all the grammatical rules, did a multitude of exercises in a script he was very attentive to. Perhaps I had the ear for the language and the eagerness to master a language I only knew superficially. Perhaps I worked better under duress and pressure but I certainly put my heart into the class and appreciated the professor very much. I knew that Farsi class, which is often taught "too casually" elsewhere, was my opportunity to acquire a language that wasn't very difficult but was useful and meaningful to me. In the second year, we studied Persian literature: its famous poetry of Hafez and Saadi and its modern novels. We had exams to prepare for and for those semester end exam preparations, I flew to Salt Lake City, to bond with my grandfather. I sat with my grandfather who had otherwise always been too busy to study with his own kids, at the dinner table and we went over translations together, I recited the poetry to him, we read the modern prose. Those memories today surpass the results, which I must boast, as nothing less than excellent. Today, I retain the fundamentals of Professor Thakston's class. I practice the language with my mother in law, I speak it to my babies in terms of endearment and converse with my husband. Indeed, I treasure Farsi as my grandfather's language. The first thing a golf instructor tells you is that golf is not just about the swing, that 2/3 of the game is about chipping and especially putting. Many golf players reject putting altogether because it appears to be a boring, almost a "too simple" exercise resembling croquet. The golf instructors therefore indulge their students in the art of the swing. Forget the strategy play that I often refer to on the blog, the constant question of "what do I play next and how?" The inevitable swing, the "serve" of the golf player, is a question of technique. 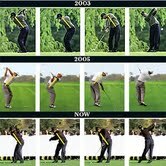 Haven't you heard Tiger Woods declare, ten years through his career that he is reforming his swing, changing it? Isn't the swing mastered and then conserved? Why is it that every time I think I got it right, there is a "now if you...."? The person whose swing I know best is my son's. He is my favorite golf partner. I am not a connoisseur enough to judge his swing. I am certain that he receives as many corrections from his teacher as I do from mine. I can sometimes tell that he unfortunately looses his balance. But my son's swing is a relaxed one. When I receive recommendations from the professional, I understand him because my son has integrated them before me and I have seen him apply them. 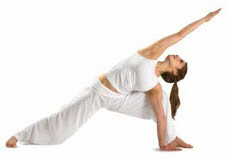 Ideally, the swing must be practiced in front of a mirror, like a yoga position. There is, for that purpose, an exterior huge mirror, near the swing analysis room. Unlike Narcissus, I always look away from the reflection as both yoga and golf instructors recommend we stare at "that person who looks so much like you". The swing analysis room is an experience in itself. My children run out of it with the image print of their swing and they show it off to their friends. I have been in the room, have taken a swing into the net and my photo has been juxtaposed, to no other than....Tiger's. 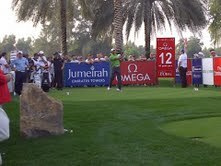 It is a shame I was too busy watching Tiger's strategy and results to notice the technique of his swing when I followed him on the Majlis course this February. Nothing comes close to the American University of Beirut. Only my birthplace could accommodate the high standards of the American university system abroad. Even the American University of Paris doesn't have the same reputation as AUB does. 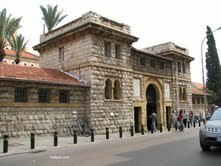 In fact, across the world, when people ask me where my parents met, I use the acronym AUB, as some use LSE. My Lebanese father met my Iranian mother in the late 60s, when Beirut was at its apex, right before its fall into civil war. 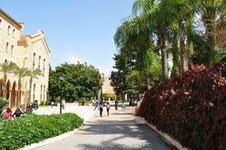 AUB campus resembles the Stanford campus in its charm. Yet its green area, overlooking the Mediterranean Sea, is in the heart of West Beirut. It therefore has an urban feel and it has never been isolated from the political upheavals, whether domestic or regional. Therefore, its student body has always vibrated with political causes. These are the students who have overcome political disturbances to concentrate on their studies as well. Till this day, AUB has conserved its political culture and its search for excellence. A good friend of mine and classmate has returned to Beirut to teach at AUB, attracted as he was by its long tradition. In my family history, AUB is how I described my parents' education in college applications. It also is a very romantic symbol: it is where their love grew forty two years ago. John Travolta economics major meets Brigitte Bardot, history major. So inspiring was it that I found my soul mate in university too. History repeats itself, I told my parents. I don't call myself a writer. I am an appreciator or a commentator, not even a journalist. I did manage to write masters' and Phd dissertation but that is academic work. I never took creative writing as taught in the American universities. I can write comfortably in the two out of four languages that I speak. I can write in English or French interchangeably. The way my father writes in Arabic or English or Atiq Rahimi writes novels in Farsi or French. I believe Nabokov did the same in Russian and English. Who remembers his elementary school essays? 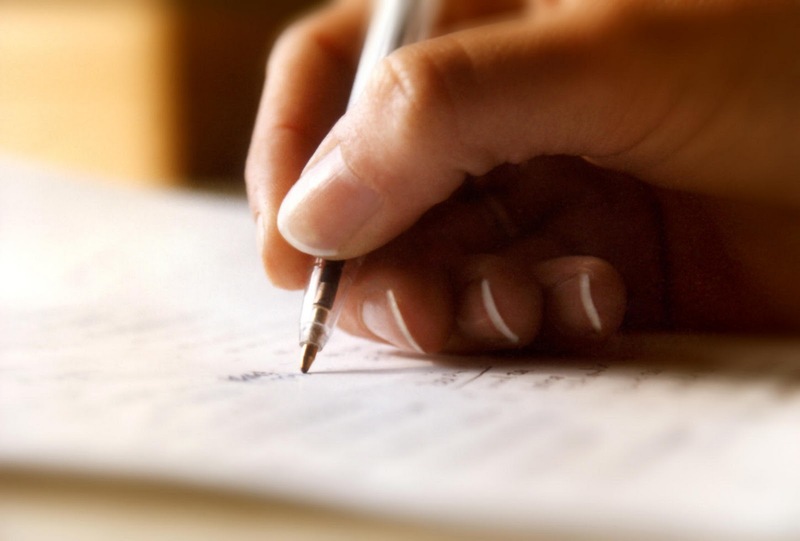 Write about your dream house, if you were on a desert island, imagine the year 2000. I remember dreaming of rooms full of Monets, placing my high school crush on the desert island with me and imagining a year 2000 that isn't a far cry from super-modern Dubai. At the age of 12, I imagined myself as the Arab Anne Frank and I composed a little novel entitled "12-13", whose manuscript is lost today, somewhere between photos and memorabilia. When I went to boarding school my mom recommended I write a diary and fountain pen in hand, I held a diary past boarding school, into graduate school, till I met my future husband. The day I met him, I abandoned my diary. I had perhaps found myself at last. When I changed educational systems, shifting from French to English, I was told that writing differed in the two cultural paradigms. I had to move away from elaborate and long paragraphs to simple and concise paragraphs. At Smith College, we were lucky to have "writing assistants". These talented teacher assistants accepted our papers for corrections. They didn't correct spelling or factual mistakes but rather wording, sentence structure and composition. I would drop my paper off with at least 4 correctors and take in all their input. During my three years there, I worked on my writing, except for the papers that counted for my major which were written in Spanish! I believe writers are readers. The more you read the better your writing. I also believe that the more you write the better it becomes. You develop a style. A writer needs that unique style that would propel his work to the level of art. The style is usually innate because the poetry or lack of is within him or her, the mind twists, the creativity, the imagination...the capacity to synthetize experience into words. When I came back to Dubai, after an absence of twenty years, I was dreading it. I was dreading it in the same way I used to dread driving on its brand new highways. I kept to Al Wasl Road, which I continued to call the Iranian Hospital Road and to the Beach Road. 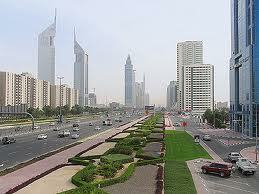 I grew up in the Dubai of the 70s and 80s that was growing horizontally. 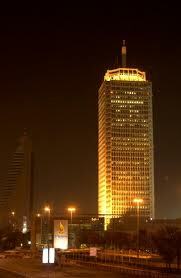 Only the Trade Center stood high and elevated, as did a few highrises in Deira. Dubai was small, its community tiny as well. Everybody knew each other. As children and teenagers, we mixed and mingled, at the Hilton Beach Club, Al Naser Leisureland, Hyatt Regency, Intercontinental Hotel, and the Jebel Ali Hotel if we wanted a change, Hatta and Fujeirah if we wanted a road trip. We used to got to the infamous Dubai Zoo with its old lion and claustrophobic tigers. We rode ponies and horses at the Equestrian Center. We attended classes at the Karate center on Al Wasl, and at the Ballet Center which still stands in Jumeirah, behind the best bookstore Magrudis and the most French of cafes, Chez Gerard. Al Ghurair was our first commercial center, followed by Burjuman and City Center Malls. Then came the Emirates Towers, heralding vertical lifestyles and the end of an era. Back in the eighties, we had very few events in Dubai, no cinema houses with the latest films, only Channel 33 TV and FM 92. The Dubai Duty Free tennis championships and the state of the art Emirates Golf Club made for the only sports entertainment. The Golf Creek's club house's sails, reminiscent of the Sydeny opera house, was made iconic on our blue 20dhs bills. Now that I have attended two Bidoun/Third Line parties, two years apart, the first at the Hyatt Regency and the other at the Golf Creek Club House, I was sent back to that era of retro-Dubai. 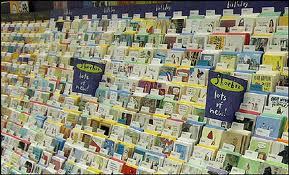 Today is also the birthday of my fifth aunt and one of my sister-in-laws. They are two women who have blossomed in retro-Dubai. My aunt is for all intents and purposes the First lady of Dubai: she is the VP of Civil Aviation, and has vanguarded projects such as the Dubai Duty Free, the Dubai Airshow, the ATP Tennis Tournament and many more. My sister-in-law spent all of her formative years in Dubai, attending the very competitive Chouaifat school. 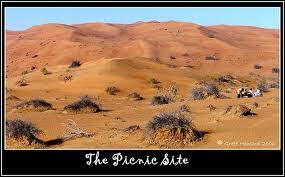 She married a retro-Dubai man, my brother, with whom she attended Iranian picnics in the desert as a child. They have now moved back to Dubai from the US, into a very posh highrise, and are trying to adapt to the new Dubai with their two little boys. Happy birthday to my beloved aunt and sister-in-law who are both born on the same day! As for me, I am now very happy to have moved to the Dubai of the new millenium. We have witnessed the construction of an exciting city, with all it has to offer. It took me 6 months to realize that I wasn't coming back to retro-Dubai nor was I living in what others call a superficial Arab LasVegas. Instead I have found a city of culture and sports in which I can nurture my family . Today, my eldest who is in the 7th Grade, left school with almost 100 mathematics exercises. "I want to start them in the car!" he declared. We both knew that this wasn't a cruel Maths teacher's' doing, but rather a caring one, who knew he would leave school for four days and gave him make up homework for his return. Somehow, in his 7th grade mentality, he thought he could turn an administrative trip to Switzerland into a fun vacation, by finishing four days worth of studying in an hour of hurried calculations. I begged him to slow down and his father lobbied him about the benefits of maternal tutorials and good mathematical habits. We are now transporting the book with its 100 fraction exercises to Geneva with us. Who remembers where he or she was when first exposed to fractions? I was in Seoul, Korea, in March of 1980, thirty one years ago exactly. We were visiting our uncle and two cousins while our aunt was delivering their third child in the USA. Fractions seemed scary and mysterious. 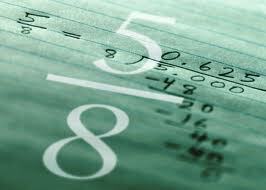 My father, in his habitual mathematical manner began by sharpening my pencil, sitting me down and telling me to look at a fraction at a time, a rule at a time, a denominator and multiplication at a time. We solved each problem individually, each exercise attentively and soon enough fractions became games and puzzles rather than intimidating jargon. I mastered these fractions every day of that trip, between visits to volcanoes, temples and palaces. I think what I remember most about South Korea, besides its Spring blossoms and the bright colors of the kimonos were the fractions. The memory is intact today, as I teach them to my son. Surpassing that mathematical memory is the hospitality of my uncle and of course discovering the bundle that my aunt brought came back from the USA, my cousin who is turning thirty- one this Nowruz, the Persian New Year. Happy birthday to my dear cousin, and happy nowruz to my Iranian and Afghan family! I recently needed to cancel Aikido for my daughter and Judo for my son for an entire month. They needed to focus their time on their other activities: ballet, golf and violin for which exams and competitions were slowly approaching. We all know the old adage that practice makes perfect. 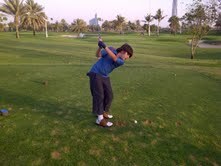 My son will soon be playing in an important Junior Golf competition. He is enjoying his three times a week visits to the club where he manages his own practice sessions. He drives for one session, chips for another and puts for a third. He also fits three holes on the par-3 course. This way he gets all 9 holes at each week's end. Similarly, my daughter has an official ballet exam given by the Royal Academy of Dance at the end of march, and to perfect her technique, she had to attend an extra class a week. She has made up some of her missed classes from when she was traveling, and now is dancing up to four times a week, all in practice for the exam. 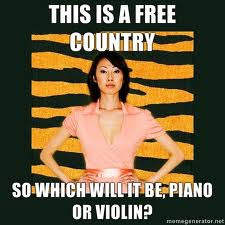 When it comes to violin, I try not to be a "tiger mom" and pressure them to much. This leads unfortunately to a lack of practicing. They probably don't progress as much as they should as a result, but both my son and I agree that he is a swimmer who plays the violin, not a violinist who swims. I really believe that practice is the only way to acquire a skill. Diligently I attend pilates classes. Attentively, I practice my golf swing between classes. Golf has a good way of measuring the intensity of the practice session: take a bucket of balls and drive them for an hour, or two .... Put 25 balls successfully in succession. If you miss one, you start again! This makes me wonder why I am so focused on practicing golf. I certainly am not on track to become a champion....Am I practicing for when I am older and retired from the job of mothering? I guess I practice golf so that I may be a better golf mom. My father rejected Jonathan Franzen's "Freedom" even though I recommended it as "the Great American Novel". He said it was too American, that he couldn't really understand the "point". My Swedish friend read it entirely but did confess that she was dumbfounded by its Americanisms. 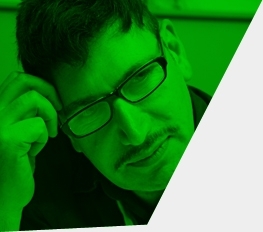 The only American I know who also happened to dislike Franzen, explained that he believed him to be too midwestern. I agree with all three readers. Franzen is quintessentially American, as is David Wallace, David Sedaris and Rick Moody. I can't remember how and where I jotted Rick Moody on my "bookstore list". At Kinokoya Bookstore, I discovered" The Diviners" lying next to "The Ice Storm", which was adapted a decade ago by Ang Lee into an intense dramatic film, just like I love them. I chose The Diviners for its element of surprise and began reading it at bedtime. The preface opens at dawn in Los Angeles. I read two pages of intricate detailing of Los Angeles, reading out loud a sentence to my husband, about a newspaper delivery man. Then the plot takes us to Japan, also at dawn. By now I was intrigued. We then travel to China, India and when the sun rises in Afghanistan I had to read the full paragraph to my husband. We both sighed at the generalizations, the small cliches, but the paragraph was written in beauty and the morning sun traveled over Iran, the Arabian Peninsula and the Holy Land. "What an incredible idea!" I thought as I read, smiling in delight. Dawn eventually reached Europe, and crossed the Atlantic. Dawn illuminated Maine and I reminisced while reading in the descriptions of New England. Dawn lingered over New York City. The preface ended and I slept with wonderful images created by Rick Moody, but not before I had debated them with my husband. My husband agreed with me that it took an American writer to have such an idea, having probably been inspired by the Discovery Channel. I believe it takes an empirical mind to be inspired by a scientific reality. His geography may be unsophisticated but he had captured the moment when the sun or light travels the world in 24h. I always tell my kids that the sun sets in Dubai to rise in New York City and San Francisco where our beloved relatives live. I wonder if a non-American reader would appreciate the preface of The Diviners in the same way I did. The language, the references and the mind-set are all purely American. The first chapter isn't as good as the preface is: it's the portrait of an old spinster, very similar to the landlord lady in David Sedaris, or the grandmother in David Wallace's Broomstick or the mother in the Corrections. Perhaps that last analogy is a stretch, because I believe Franzen's Corrections and each of its characters to be unique and special. However, I couldn't help but notice the trend in contemporary American literature to portray these geriatric women. I have now come to the realization that I have dwelled on American Lit for too long and should now embark on Dostoyevski or Charlotte Bronte. 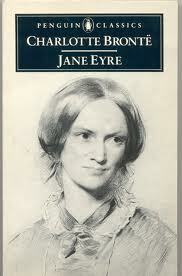 I read Jane Eyre in French as a teenager. XIXth century English would be a good exercise for me, the non-British educated reader, so that I may understand better why Franzen is rejected by non-Americans. My youngest speaks his mother tongue, Arabic (the classical dialect), better than I can ever claim to have spoken my father's Lebanese. My son's conversations will often stop Arab passersby on the street, who are utterly surprised by his mastering of classical Arabic. Most are shocked that I would choose to speak to him in classical Arabic, wondering if he can actually use the skill in the real world. The truth is that my son is an Afghan, who doesn't belong to any single Arab community. 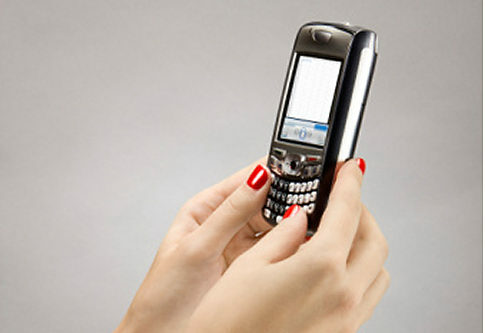 Speaking classical Arabic will enable him to converse with Moroccans, Syrians, Omanis, Iraqis and Sudanese. I enrolled my two youngest at the very young age of two in an Arabic nursery school called Hadanati, on Al Wasl Street, beside the Iranian hospital. 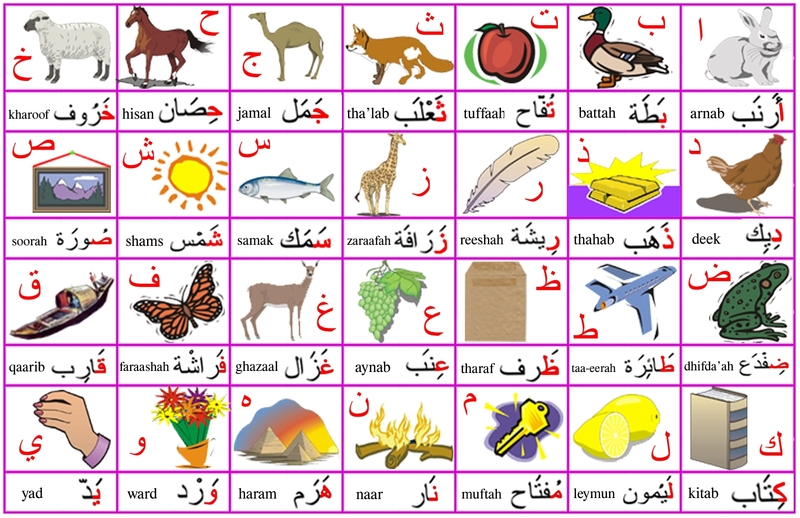 I insisted on the Arabic, as I knew that learning the language at an early age was the key to mastering it. It is not the most popular nursery school amongst my peers in Dubai: many shun it because they believe their methodology to be archaic, or because it is not posh and modern. Many kids acquire language skills between the ages of 2 and 3, and that was the prime time for my son to attend Hadanati nursery. They only spoke to him in classical Arabic and they requested I keep it up at home. I abided and stuck to my guns. I have spoken to him exclusively in Arabic since my pledge, except for the amounts of time studying French together. I read to him in three languages, but Arabic reading prevails: I have found colorful, entertaining books and stories that we have both grown fond of re-reading. Through my son, I have regained my father's language. I have learned a vocabulary that consists of all the varieties of transportation, animals and many useful verbs. We play a game where he tells me that I am a "booma" (owl) and I reply" no you are a babagha" (parrot), he says "you are a bitreek" (penguin) and then I respond "chaheen" (eagle) the and the game of birds goes on! This experiment did not work as well with my daughter who attended Hadanati for double the time her brother did. I thought it would reinforce her Arabic to stay one year more at the school, and I then decided to switch to French to prepare her for the years ahead at the Lycee. 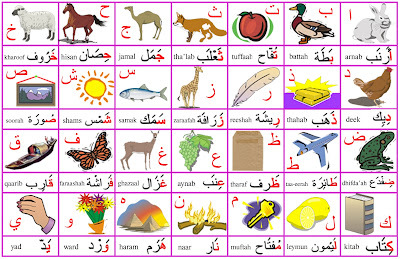 As a result, she transfered without any difficulty to the French school but she lost much of her Arabic on the way. She does study Arabic with the native speakers, but Arabic isn't her preferred language. My son understands the unique quality of this special skill. He has a special language with his mother and grandfather that separates him from his two older siblings. In doing so, he managed to change my outlook towards a language I once thought intimidating. If I learn it one step at a time, practice it all the time, have fun reading it, then it won't "hurt my jaw" to speak it. In fact, I would only shock more people on the streets, as my kid and I ramble on in classical Arabic. I have always appreciated Christian Medieval and Renaissance art. The Romanesque and Gothic churches are replete with expressive art, representing the splendors and solemnity of human existence, symbolized by the life of Jesus and the saints. This evening, I walked into IVDE gallery and despite the crowds of art appreciators, and the clamor of the many conversations, I sensed the solemnity of Reza Aramesh's art. It would be too simplistic to say that Reza Aramesh's photographs are about male actors set in splendid stately homes. The homes, or museum galleries, in their majestic splendor represent art for art. However, Aramesh elevates his art to a "re-enactment" of modern tragedy . War in its most ghastly, humiliating form is depicted. The actors take poses in symbolic victimization, ones beyond violence, in moments before injury and death, in humble surrender, when the victims kneel in front of unjustified punishment. Aramesh's art is highly political. He has selected authentic journalistic war photographs as testimony, and has replicated dramatic photographic moments through his own lens, thus elevating them to High Art and immortalizing them. "Tragedy isn't attractive" says Aramesh. It is true that one can easily cast a blind eye to tragedy. 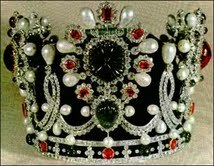 If you embelish it, then one looks longer. Aramesh's formula is to capture a very strong image within an aesthetic context. Adding to his idea, this artist has discovered another medium: sculpture. His polychromed wood of modern martyrs are three dimensional renderings of the actors in his photographs. They have stepped out of their black and white photographic palatial atmosphere to stand or sit in the frozen pose and expression of humiliation and sainthood. 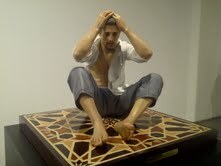 Modern Middle Eastern sculpture has moved beyond the boundaries of religious prohibitions for a cause. I don't classify Reza Aramesh as a Middle Eastern artist per se, but, considering his origins and especially his talent, I would proudly reclaim him as "our own". Instead of asking where I find the time to write a blog, I often find myself wondering how I find the time to attend a Bikram Yoga class! Who said golf was time intensive? At golf I can choose the time to play on the large course, playing at dawn or on a vacation day. I must concede that there are over 25 sessions of Bikram Yoga at Club Stretch. But when a relative or neigbor inquires about my next session of bikram, my answer is always the same. "Either Sunday at 6pm and/or Monday at 8pm". No other time works for me, because I am not free on Thursday at 1pm and the random Friday morning session is only a rare event. I also only take bikram classes with my "guru". I don't see why I cannot be as picky as a movie star! They choose their yoga mentors and so can I. Attending bikram yoga, in a very crowded hot class needs motivation enough and it explains why I act selective. The pre-yoga time is always a race. I have to leave the house an hour before the class. If I don't, I will arrive at Club Stretch 20 mins before and find the sign up form filled to the rim, with no place for the quasi-regular that I am. I have sometimes regretfully u-turned back home with no place to rest my mat. On those bikram days, no sooner have I picked up the children from school that we begin time-management programs worthy of the Oval Office. It is all about prioritizing and giving each child the equal amount of time and attention. 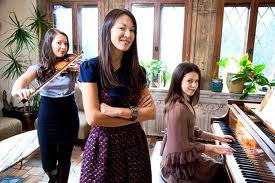 We examine each child's homework assignments for the evening, ascertain which of it can be done without adult supervision, and then get to other activities and chores, such as washing my daughter's long hair. Any remaining time gets divided amongst the various tasks. The kids and I work in a frenzy. The house feels like a bee-hive but sounds more like Grand Central Station. Then I get dressed for Bikram yoga. I often don a Gap(RED) tshirt with an inspiring slogan Ado(red) or Hono(red). Minute details of that kind are necessary motivators. Then, I am out the door, rushing for the nearby Starbucks for a caffeine fix. I ignore the guilt inducing questions like: "Is coffee ok before a session?" or "Won't you feel dehydrated or nauseous?" Caffeine is my chemical motivator. Without it I go with lower spirits. I need an encouraging lift. I admit to having had a Red Bull before Bikram once or twice and performing in a weird way in class. I often fly solo to class but occasionally a crazy aunt/uncle/cousin or a dedicated neighbor or two will join me. With the Capricorn Tower tenants, I drive to Port Rashid area, chatting through 5pm traffic. When we arrive, we have to run through the "check-in". I don't seem to commit to buying a Bikram package, so I pay for my single session, rent my mat, secure my place in the room and finally realize that I can now....relax. It is ME time. I now have about twenty minutes to relax and wind down before class. A monologue buzzes through my mind: "are you sure I want to do this?This is your only cardio workout. You will feel so good after! You left the kids so you have to make the most of it! Remember to focus, maximize your savasnah time. If you fall out of your posture go right back into it." The instructor walks in, interrupting my reveries. 90 mins pass as if they were 30. I am now in post-Bikram time. I have to rush out: either to tuck the kids into bed or to skip the bed time routine and rush to my social obligations after a cool rewarding shower, to the ones I informed: "sorry, I may be late. I have Bikram yoga and I can't miss it!"